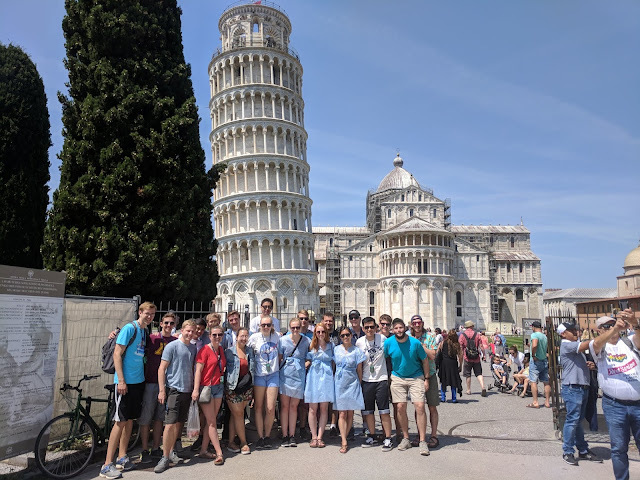 Global Seminars: Day 13: Is the tower leaning or is the city of Pisa just crooked? 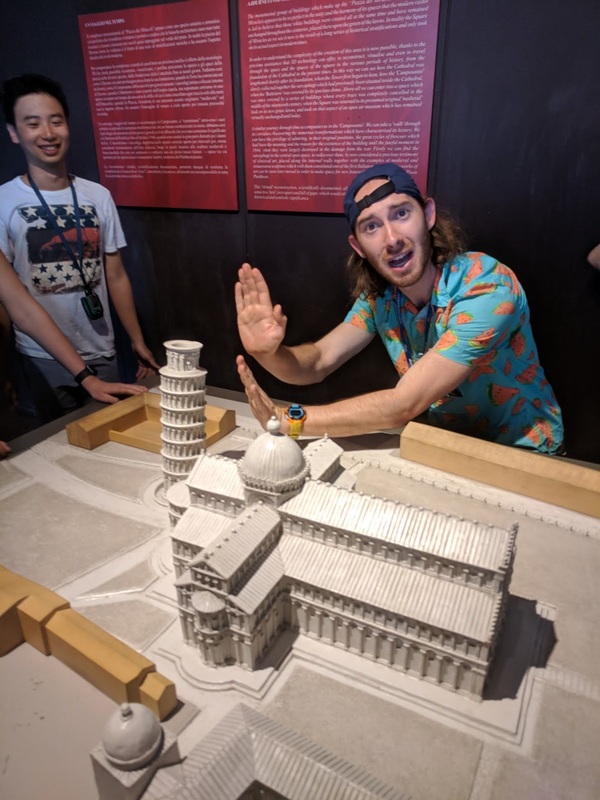 Day 13: Is the tower leaning or is the city of Pisa just crooked? Ciao, bellas! We started off today with a historical walking tour of the sights of Pisa. 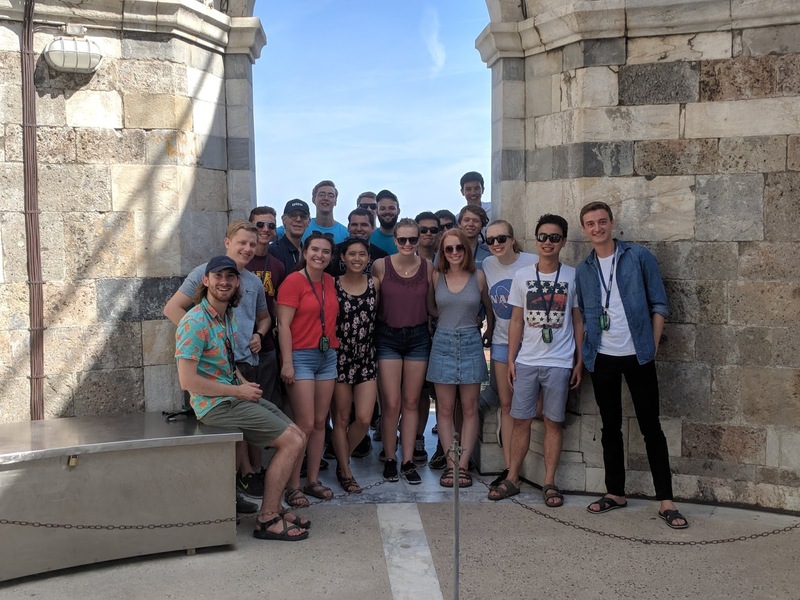 The first stop was climbing the leaning tower. The tower is a testament to how badly 10th-century Italy needed geotechnical engineering to be developed. It leans at approximately five degrees and has a 4.5 meter overhang. After a quick stop at a museum giving an overview of the Piazza del Duomo, we continued onto the baptistery and the Cathedral Santa Maria Assunta. Before enjoying some fine Italian cuisine at McDonalds (they have bone-in wings here! ), we got a picture in front of the tower. Once the tour was over, we had the afternoon on our own to enjoy Pisa. Some of us went shopping or grabbed gelato, but I had a good nap and watched Liverpool's goalkeeper score the most ridiculous own-goal of all time, ever (the Eurocup soccer final was on and you know what they say: "When in rome...").